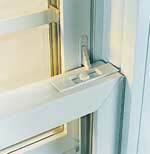 If you're thinking about replacement windows or patio doors, there's no reason to wait. The benefits start immediately. From enhancing your home's interior to adding to its curb appeal, new windows and doors transform a home from ordinary to outstanding. What's more, new windows provide one of the best returns on investment of any home improvement project. Especially if they're Milgard windows from American Window Co.
All of our windows are backed by a full lifetime guarantee. Chances are these are the last windows or patio doors you’ll ever have to buy. Please call for a free, no-obligation estimate. You can reach Michael or Brett at 503-543-3889. You may also e-mail your questions to info@american-window.com. Copyright © 2007 American Window Co.
Portions of this site are the property of Milgard Windows Inc.